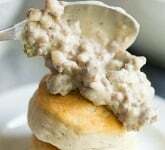 My Southern friends know that good, old country biscuits and sausage gravy is one of the best recipes to enjoy for breakfast. Or lunch. Or dinner. Or a midnight snack. You can’t go wrong with this amazing, flavorful, delicious, homemade recipe! 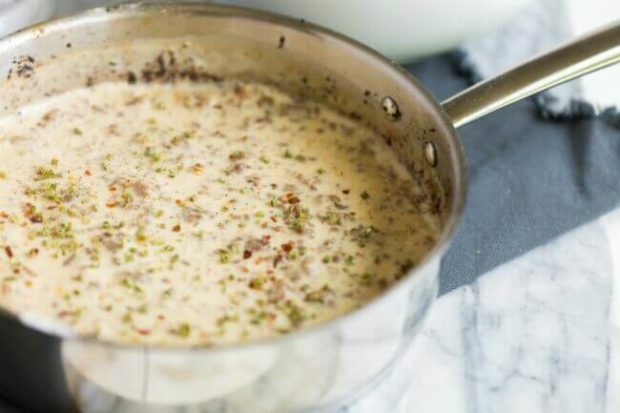 You’ll wow everyone’s taste buds with this sausage gravy made from scratch. Fluffy, buttery, homestyle biscuits paired with a mouthwatering gravy made from milk and sausage will have everyone asking for seconds. It comes together easily in just one skillet, too. This sausage gravy can be made a little bit spicy if that’s your thing. It’s actually one of my favorite comfort food meals and it’s so easy to make. I’m sure your family will rave these biscuits and sausage are the best, too! There’s nothin’ that good ole’ country biscuits and sausage gravy can’t fix—for people or dogs (say whaaaat?! Stay with me!) Want the recipe? You’ve got it! 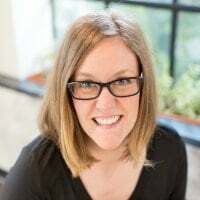 My best friend lives in Texas… and like any good Southern girl, she knows how to whip up an amazing, homestyle biscuits and gravy breakfast that will make you drool. 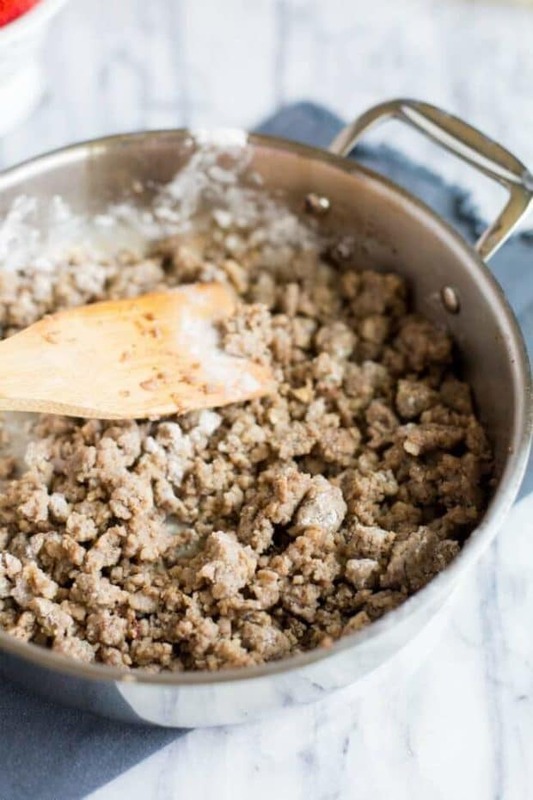 It’s from scratch and it’s better than any other sausage gravy you could hope to have. She learned how from her daddy. His sausage gravy is the stuff dreams are made of. I’m not kidding. The flavors are on point: a sweet, a little spicy. It doesn’t taste too floury. (There’s a new word for you! 😉 ) It’s the perfect texture. Here’s where the dog part comes in. 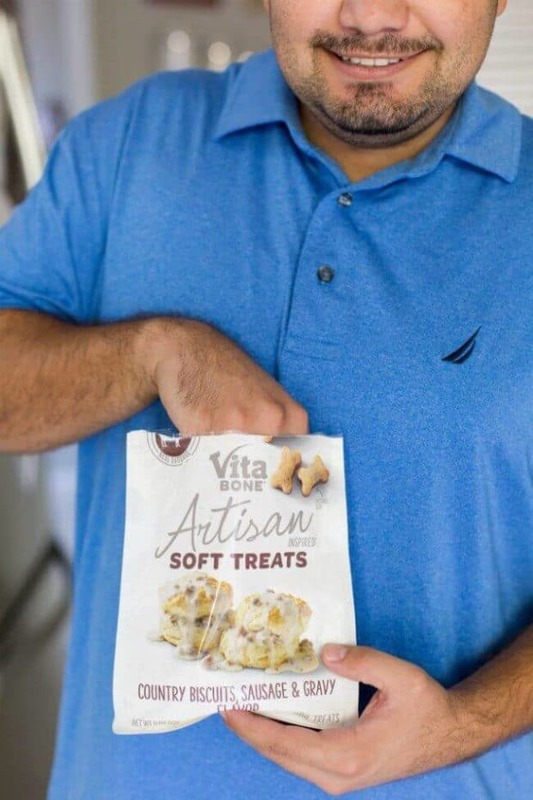 This is a sponsored post written by me on behalf of Vita Bone® for IZEA. But all opinions are mine. Cooper loves them. And the rest of us get to enjoy our dinner without feeling guilty that poor Cooper was either going to eat people food he shouldn’t have or (horror!) be deprived. We all lived happily ever after! 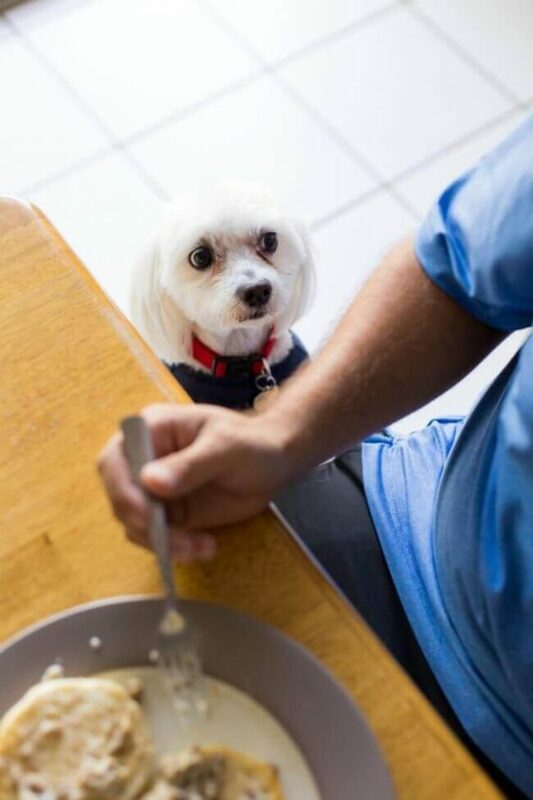 And you will too with my dad’s recipe for Biscuits and Gravy! As with all my favorite recipes, one thing that makes it a must have in my eyes is if it’s simple. I don’t have time to be finding unique ingredients for complicated recipes. I need meals that I can pull together quickly with items already inside my kitchen. That’s one reason I love biscuits and gravy so much. I almost always have these staples inside my cupboards, making it a simple go to meal at the end of a busy day — or the start of one. 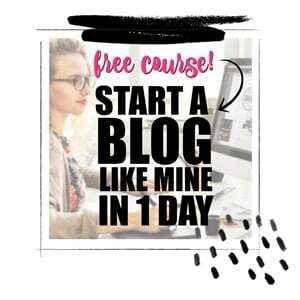 You’ll need a pound of uncooked breakfast sausage to start. I have lots of things I could say about the sausage. First, make sure you’re grabbing a high quality product… you can tell in the taste of your finished meal. Second, you can grab regular, sweet, spicy… whatever your heart desires. I typically use just regular. Third, to make this meal even heartier, you can use two pounds of meat instead of one. (You could mix a pound of sweet and a pound of spicy though as well if you like! ) I’ve got growing boys so I often add more meat. And let me tell you, they eat every.single.bite. You’ll also need three cups of whole milk. If you do add more meat, you might want to use four cups of whole milk, but that is a texture preference more than anything. From the pantry, you’ll need a teaspoon of pepper, 1/4 cup of flour and red pepper flakes. Finally, you’ll need biscuits. You can make them from scratch, grab a can or get the frozen kind. When running short on time, I like to grab the buttery frozen ones. Canned biscuits are also a great time saver! If you like, you can also top your biscuits and gravy with chives. Now, if you’re like me and only had sausage gravy with too much flour in it before, I’m sorry for that bad experience. Trust me when I say that not all sausage gravy is created the same. This recipe will make you swoon. And drool. And beg for more. And it’s crazy simple to pull together because y’all know I don’t love complicated. Preheat your oven and get your biscuits going. In a large skillet, break up the ground sausage. Sprinkle with a teaspoon of black pepper and cook until brown. Reduce the heat and sprinkle flour over the sausage; stir to coat well. Slowly pour in the whole milk and stir until thick. Remove from heat; sprinkle in red pepper flakes and mix. Spoon over your fresh from the oven biscuits and then top with chives or more red pepper flakes. After serving, watch your people melt into puddles of adoration that you just created this incredible biscuits and gravy meal for them to enjoy. Psst, you should also try this amazing chocolate gravy recipe! 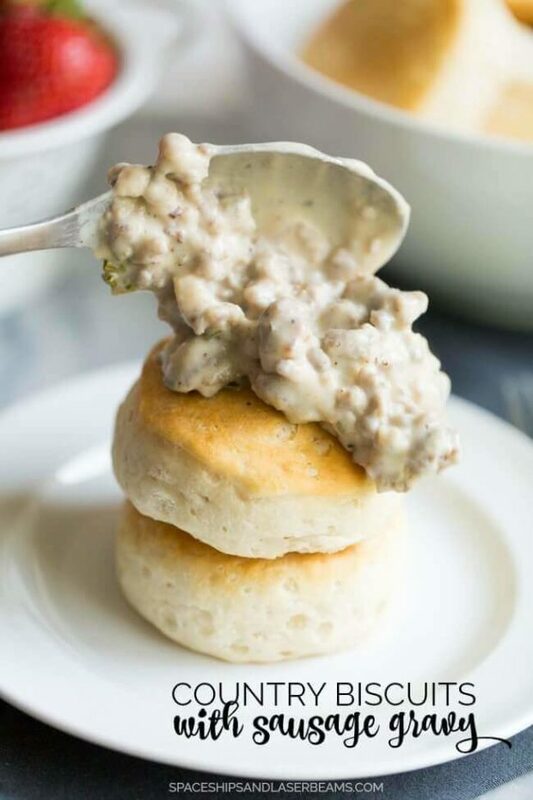 These Country Biscuits and Sausage Gravy Recipe are the ultimate in comfort food. biscuits I used canned, but you can use frozen or homemade as well! In a large skillet, break up the ground sausage. Sprinkle with a teaspoon of pepper and cook until brown. Reduce heat and sprinkle flour over sausage; stir to coat. Slowly pour in whole milk and stir until thick. Remove from heat; sprinkle red pepper flakes and chives over top. 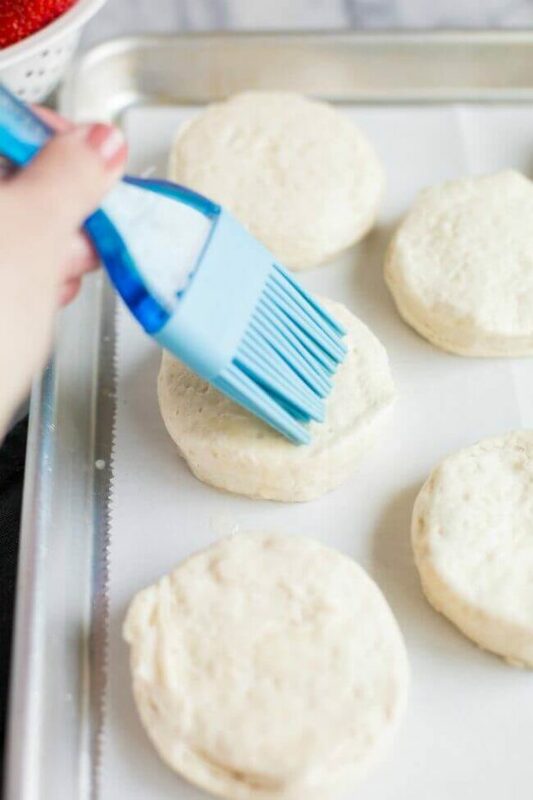 Spoon over fresh biscuits. Garnish with chives and red pepper flakes. This recipe is seriously so amazing! I am a big fan! Perfect combination! The taste is so satisfying!